Google just announced its new gaming service ‘Stadia’ at the Game Developers Conference 2019. This new platform by Google will allow users to play video games on basically any kind of device owing to its streaming technology. Last week we covered Google’s vision for the future of gaming and what it could possibly be. As reported before, Google’s vision for the gaming service is to provide high-end gaming to every consumer that basically owns some sort of hardware device, let it be a laptop, PC, tablet or mobile. This was evident from Google’s announcement in GDC 2019 where the software giant displayed this new service by playing it on the Pixelbook, Pixel 3XL, Pixel Slate and on a normal LED by using Google’s Chromecast Ultra. 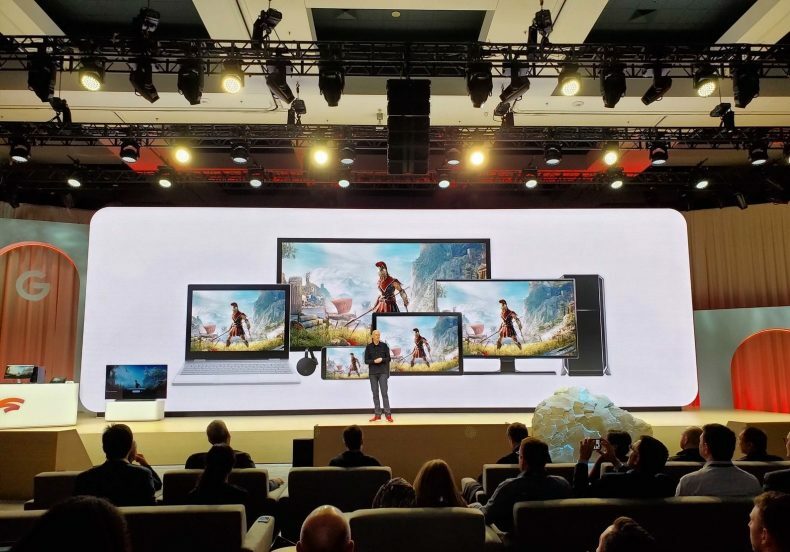 During the demo at the launch, Google’s Stadia service was able to stream the game in 4K quality with 60 frames per second. However, Google mentioned that in the near future their service will allow the streaming to be played in 8K at 120 frames per second. So the service compared to Xbox One X is far more superior considering that it’s not bounded by any Hardware constraints and will only get better as time goes on. Perhaps the most crucial question asked by consumers would be the availability of games on this platform. For starters, Google is working with third-party games which are basically available on other gaming consoles. Third-party developers can basically join Stadia via ‘stadia.dev’ which shows the platform has immense potential. Furthermore, the even better news is that Google is now launching its own first-party game development studio where it’ll make first party games while also providing their cloud technology to other developers from different gaming studios. It’s still unclear regarding the accessibility of this gaming service, but knowing Google the service will likely be available through a subscription service.